There’s plenty of new whisky on the horizon this week, from the U.S., Scotland, and beyond. 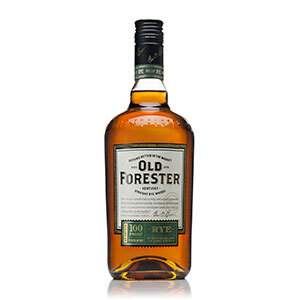 Old Forester is debuting its first new mashbill in a century and a half with the launch of a rye whiskey. 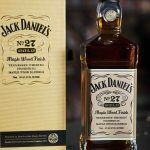 Bottled at 50% ABV and priced at $24, the whiskey is widely available. 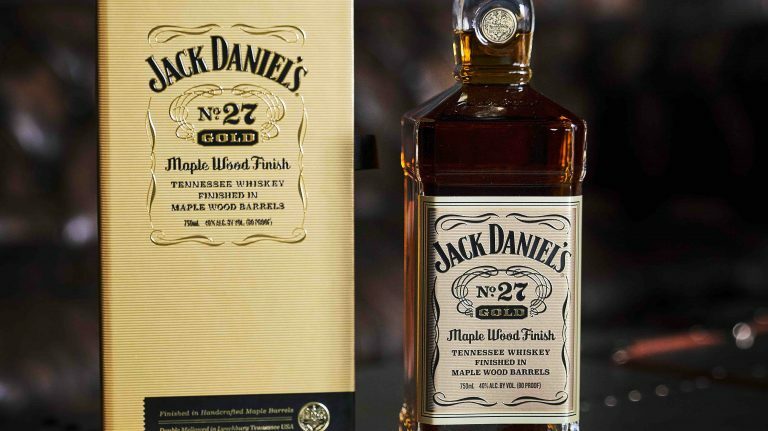 Another brand from Brown-Forman, Coopers’ Craft, is also adding a new whiskey. Coopers’ Craft Barrel Reserve was aged in a new charred oak barrel that was chiseled on the inside to create more surface area for the wood and whiskey to interact. At 50% ABV, it’s also higher proof than the original Cooper’s Craft. It will be available in a dozen states for $30-$33. Glen Moray has unveiled the latest release in its non-age statement Classic Collection. Glen Moray Cabernet Sauvignon Cask Finish was finished in, you guessed it, cabernet casks and bottled at 40% ABV. It’s widely available for $30. Seattle’s Westland Distillery is releasing its latest Peat Week limited-edition single malt. 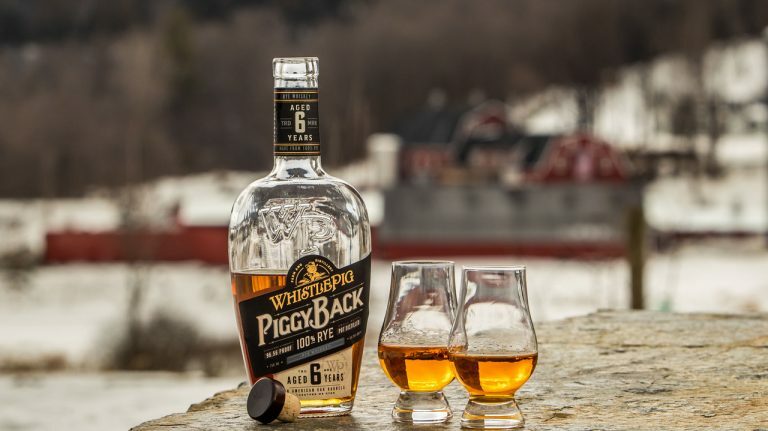 Bottled at 50% ABV and priced at $100, the heavily peated whiskey is available in limited amounts, with just over 1,000 bottles for sale in select markets. A new straight bourbon, sourced from MGP Distillery, is rolling out. Penelope bourbon combines two different mashbills and is named for one of the creators’ daughter. It’s bottled at 40% ABV and priced at $37, initially available in New Jersey. 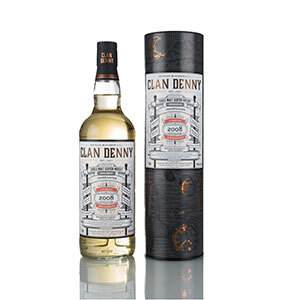 Independently bottled scotch Clan Denny has four new single cask offerings: Bunnahabhain, Craigellachie, and Fettercairn single malts, each 10 years old, and a 14 year old Port Dundas single grain. The whiskies are all 46% ABV and available in a handful of states for $55. 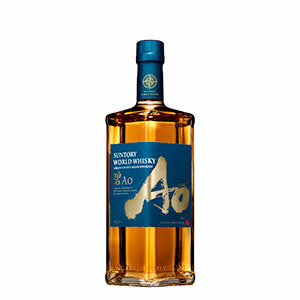 Finally, Japan’s Suntory has unveiled a “world blend”—a product that combines whiskies from Japan, Scotland, Ireland, Canada, and the U.S. Suntory Ao (meaning “blue”) is 43% ABV and is currently for sale in Japan only for 5,000 yen. 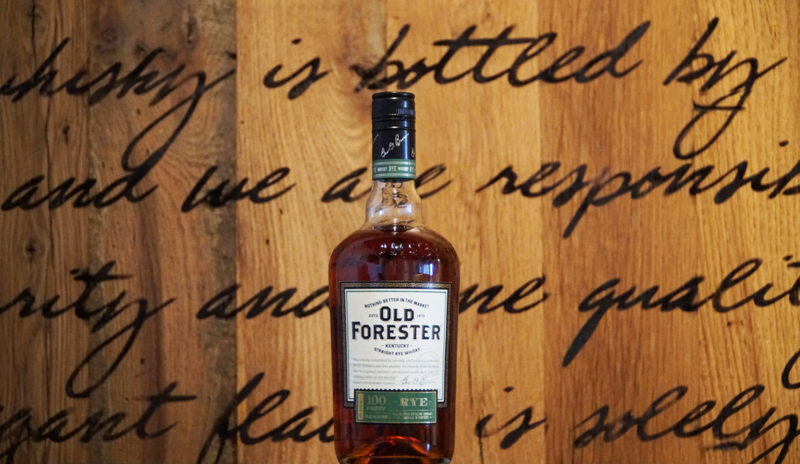 Debuting its first new mashbill in over 150 years, Old Forester is launching a straight rye whiskey. Bottled at 50% ABV, it was made from 65% rye, 20% malted barley, and 15% corn, a recipe based on the historic Normandy rye brand. More rye is always a good thing, and we’re excited to taste a new recipe from one of Kentucky’s leading distilleries. Our Spring 2019 issue—hitting newsstands in March—focuses on rye, so look for a review of Old Forester Rye soon! 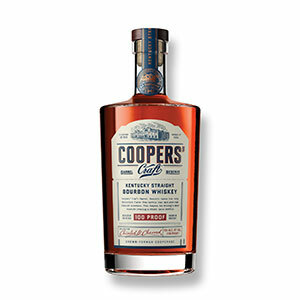 Joining the regular Coopers’ Craft bourbon is this higher-proof version, which also undergoes a different maturation process. Both bourbons are aged in new charred oak; regular Coopers’ Craft is then filtered through beech and birch charcoal. The new charred oak barrel for Coopers’ Craft Barrel Reserve, however, has been chiseled on the inside to create more surface area for the whiskey and wood to interact, resulting in stronger flavors. Chiseling, carving, or cutting grooves into casks isn’t a new method; distilleries have been experimenting with this technique for years in an effort to impart additional barrel flavors onto the whiskey. For example, Maker’s Mark uses grooved “cuvée” staves as part of its Private Select custom finishing barrel program, and Sagamore Spirit released Double Oak rye, which was finished in “wave stave” barrels. Even scotch makers have gotten in on the trend, with Dewar’s Scratched Cask and Ardbeg Grooves. The sixth release in Glen Moray’s Classic Collection of single malts, this whisky was initially aged in ex-bourbon barrels and finished in Cabernet Sauvignon casks. The other whiskies in the range include Classic, Peated, Sherry Cask, Port Cask, and Chardonnay Cask. 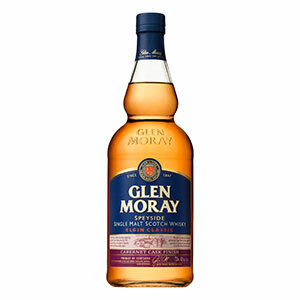 Glen Moray typically offers some of the best value in single malt scotch. For example, its 18 year old, priced at $90, scored 92 points and ranked as number 10 in the 2017 Top 20. The Classic range whiskies are each $30 and provide a great opportunity to taste the effects of different cask finishes at a very fair price. The fifth release of Westland’s special-edition Peat Week single malt, this whisky includes casks ranging from 3 to 5 years old. It has a phenol count of 55 ppm—roughly equal to Ardbeg 10 year old. 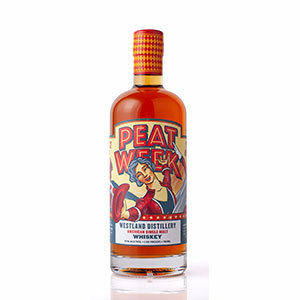 Each limited-edition Peat Week single malt is released with revelry and special events at Westland’s Seattle distillery. 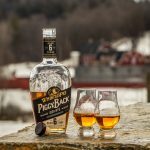 This year’s Peat Week takes place January 22-26 and—among other events—includes a symposium on the topic of peat and smoke in American single malt whiskey with master distiller Matt Hofmann, as well as Balcones master distiller Jared Himstedt and Hamilton Distillers master distiller Nathan Thompson. This straight bourbon, sourced from MGP Ingredients, was blended and bottled by two lifelong friends, Mike Paladini and Danny Polise. It combines two mashbills, one made with wheat as the flavoring grain, the other with rye. It’s named for Paladini’s daughter, who was born in November 2018. While it’s pretty common to see whiskies named after men, there are very few named for women—Jane Walker notwithstanding. 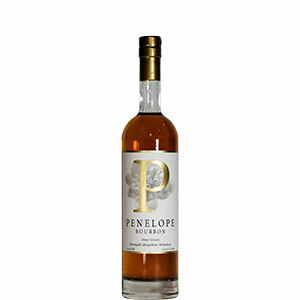 While Penelope herself has a long time to wait before she can enjoy the bourbon, she’ll surely be the only kid on the playground who can boast that her dad named his whiskey brand after her. Availability: 367 bottles available in DE, GA, MD, MO, NJ, NY, WA, and Washington, D.C. This whisky was distilled in June 2008 and bottled in October 2018 after aging for 10 years in a refill hogshead. Availability: 429 bottles available in DE, GA, MD, MO, NJ, NY, WA, and Washington, D.C.
Distilled in January 2008 and bottled in October 2018, this whisky aged for 10 years in a refill hogshead. Availability: 394 bottles available in DE, GA, MD, MO, NJ, NY, WA, and Washington, D.C. This whisky was distilled in May 2008 and bottled in October 2018 after aging for 10 years in a refill hogshead. Availability: 303 bottles available in DE, GA, MD, MO, NJ, NY, WA, and Washington, D.C. The sole single grain in this lineup, this whisky was distilled in July 2004 and bottled in October 2018. It matured in a refill barrel. Each of these whiskies is being released as a single cask, limiting the number of bottles available; however, there will be future single cask releases of similar whiskies from these distilleries, aged for the same amount of time, which should make them easier to track down. The whiskies are bottled with no chill-filtration or added coloring. 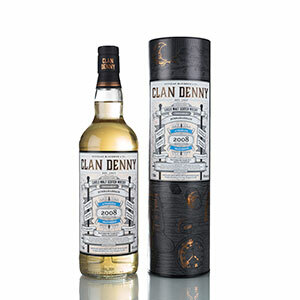 The Clan Denny brand is owned by Douglas McGibbon & Co., a subsidiary of Douglas Laing & Co. Produced by Japanese spirits company Suntory, this offering blends whiskies sourced from five different countries: Japan, Scotland, Ireland, Canada, and the U.S. Suntory owns distilleries in each of these countries, giving it access to some of the best whisky in the world, and plenty of it. 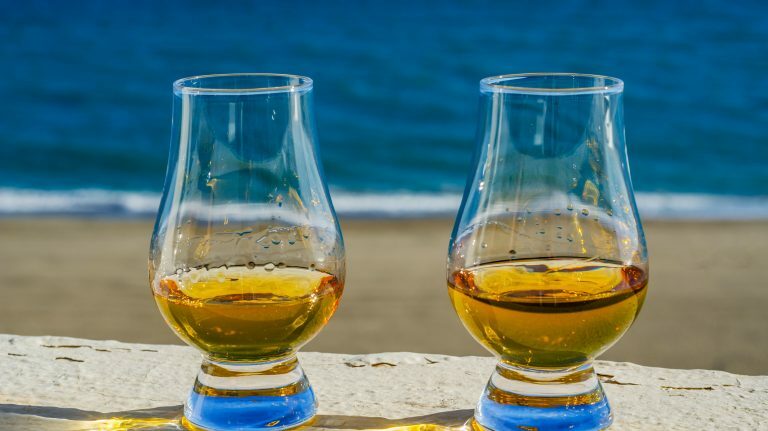 Ao, which means “blue,” is named for the color of the oceans connecting these different countries, and is packaged in a pentagonal bottle as an additional nod to the five sources of whisky. It’s being released in Japan this April, and currently there are no plans to export it to other countries. Ao is not the first world blended whisky: several other distillers have created blends that cross borders, including High West with Campfire, which uses American whiskey and scotch, and Chichibu—itself a Japanese whisky distiller—with Ichiro’s Malt & Grain, which uses Japanese, scotch, American, and Canadian whiskies. 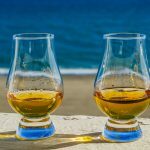 It’s also widely known that whisky labeled “product of Japan” can legally contain whisky distilled elsewhere, as the country’s regulations are pretty lax, but determining which brands actually do this is a guessing game.